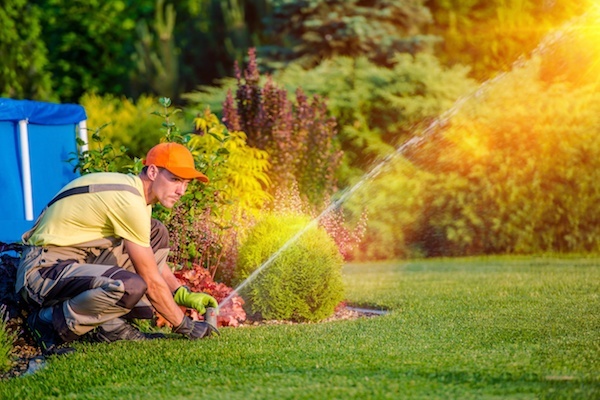 A sprinkler system is an important part of your garden. It ensures the garden is well watered. In fact, it is an essential in areas that experience scarce rainfalls. However, the system is not meant to last forever. It is prone to problems, and breakages are some of the common problems. Although any part of the system can break, breakages commonly affect the head and pipe lines of the system. You can fix a broken sprinkler at home without involving a plumber. You need the right tools and skills. The repair procedure will depend on the part of the system that is broken. Typically, sprinkler heads pop up when the system is in operation, and they retreat when the system stops. 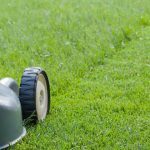 However, they can be hit by a mower, trimmer, or any other moving object. To fix a broken sprinkler head, you need to first obtain a new head. Determine the model number, manufacturer, and nozzle size of the broken head to guide you in buying the right replacement. Installing a wrong head may cause your sprinkler system to either release too much or too little water, causing your garden to under-perform. • Remove the damaged sprinkler head. To do this, start by making an 8-inch circular cut around the broken head using a garden shovel. Remove dirt to access the water line, and unscrew the head from the line. If the location of the head is wet, clear any mud using a dry or wet vacuum. • Prepare the replacement head by cutting it into a suitable height. If you’re using the old riser, remove it from the old head, and attach it to the replacement head. You can determine if the old riser works by screwing the new head into place. If the top of the head will not be flush with the ground, then you should use a new riser. • Since mud may have entered the water line during the process, it is advisable to flush the line. Turn on the water supply, and allow it to run for a few seconds. • Screw the new head into place, taking care to ensure it is properly aligned with the hole. Filling the hole with dirt and testing the new sprinkler head completes the process. • Locate the leak. 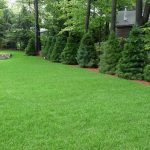 This can easily be done by observing your lawn for any soggy patches. If you can’t locate the leak through patch observation, cap every sprinkler in your garden before turning on the system. Observe your garden as the sprinkler system runs to see where water comes from the soil. This will be the location of the leak. • Once you have located the leak, access the broken pipe by digging the soil from the area. To do this, first disconnect water supply to the pipe by shutting off the system controller. • Remove the leaking pipe. Do this by either unscrewing or cutting the pipe from the place. You can easily unscrew a shorter pipe from the line. A hacksaw may be handy when removing a longer broken pipe. Depending on the size of the breakage, you may need to remove more than 4 inches of the pipe. • Insert a new pipe in place. Before you install a new piece of pipe in place, turn on the sprinkler controller to flush out any soil or dirt that may have found its way into the line during the repair. Foreign materials can cause clogging in the sprinkler head, leading to poor performance of the system. You may need to cut the new pipe to size before insertion. Apply an adhesive to the areas where the new pipe connects with the old pipes to prevent any leaks. • Refill the hole. You will need to first test the line before refilling the dug hole. Turn on the sprinkler controller, and observe the repaired location for any leaks. If there are no leaks, refill the hole with soil to complete the process. Although fixing a broken sprinkler can be easy, you need to be accurate for better results. Call a plumber if you feel you will not be able to successfully complete the process. You just don’t want to end up with a shoddy and short-term repair because this can be expensive.